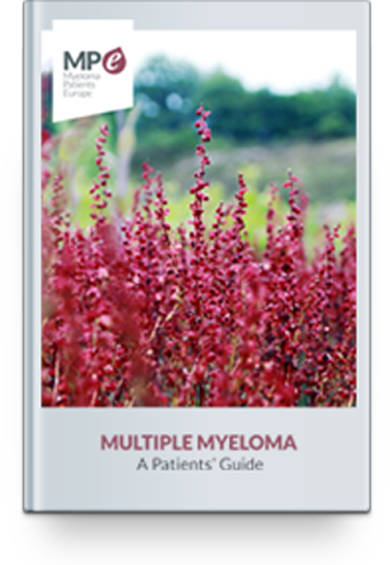 Myeloma is a complex cancer with both physical and emotional effects. Not everyone has all of the symptoms, but the following are the most common physical effects. Pain: Most myeloma patients will unfortunately suffer a dull, aching pain at some stage due to the abnormal activity in the bone marrow. Myeloma bone disease most often affects the middle or lower back, the rib cage or the hips, and movement can be painful. Anaemia: The reduction in the number of red blood cells, which carry oxygen throughout the body, results in anaemia. This can cause fatigue, weakness or shortage of breath, and can result either from the myeloma or as a side-effect of treatment. Fatigue: overwhelming tiredness is very common. It is often linked with anaemia rather than the myeloma itself; or it can be a side-effect of treatment. Fatigue can affect your ability to work, or limit how well you are able to move about independently. Fractures: bones are more likely to break in people with myeloma; particularly the spinal vertebrae and ribs. Recurring infection: myeloma patients have a greater risk of infection, because their immune system is not working properly and there is a lower-than-normal level of white blood cells. Unexplained bruising: due to a low level of blood platelets. High blood calcium (hypercalcaemia): calcium can be released into the blood on the breakdown of bone, raising the blood calcium level higher than normal. This can cause thirst, nausea, vomiting, confusion or constipation.